In the summer, there’s nothing better than eating a delicious meal outside with family or friends. When you think about your favorite summertime eats, grilled hamburgers, corn on the cob, watermelon, and lemonade may come to mind. 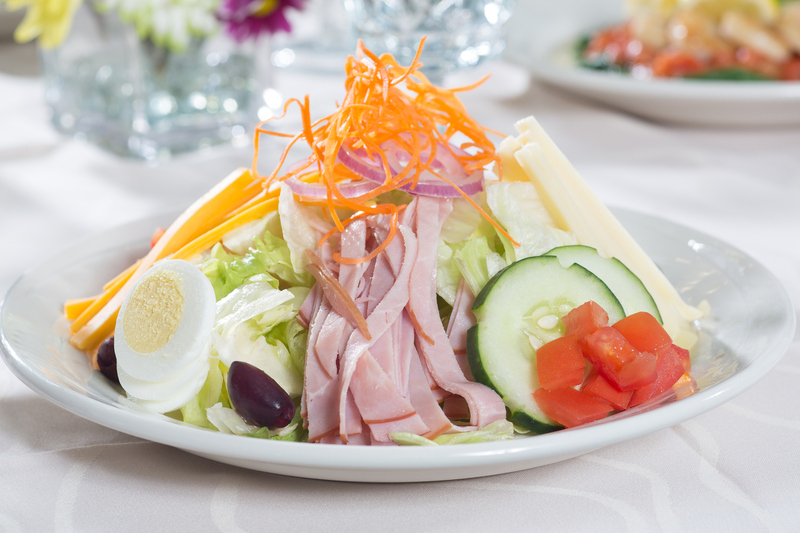 You might be adding our chef salad with eggs recipe to your list once you give it a try. We took the traditional ingredients of a chef salad with eggs and added a summertime flair to it. The avocado adds another level of freshness, as well as a little extra sweetness. There are lots of different flavors and textures in this salad — the heartiness of the ham and cheeses, crunchiness of the vegetables, and the tang of the dressing. Even though it has different flavors, they come together perfectly for a great bite. This dish is excellent for any occasion. Whether you’re in a pinch for a weeknight meal or you need to bring a dish to a picnic, our chef salad with eggs will surely please. You can serve it as the main course or as a side dish. Anyone who tries your chef’s salad will be wanting the recipe, too. If you’d like to try making a homemade chef salad with eggs sometime this summer, make sure you check out our recipe below! It’s easy to make and delicious. Add the eggs to a saucepan and add water. The water should about 1 inch above the eggs. Bring the water to a boil over medium heat. Once the water is boiling, remove the saucepan from the heat and cover it. Let the eggs sit for about 12 minutes to cool. Then, peel off the shells. If you are planning on serving the Chef’s salad family-style, add the lettuce, tomatoes, avocado, cucumbers, hard-boiled eggs, cheeses, carrot and ham to a large serving bowl. Top with sliced onion and halved olives. If you want each serving to be in its own dish, divide the ingredients between four smaller bowls. In a bowl, add the vinegar, honey, Dijon mustard, salt, and black pepper. Whisk the mixture until the ingredients are well combined. While continuously whisking, slowly add the olive oil. For a simple recipe like this one, it’s essential to use the best ingredients possible. When you use Sauder Eggs, you don’t have to worry about quality. We partner with farmers who, like us, take quality very seriously. Use our store locator to find the closest store near you for our top-quality eggs.